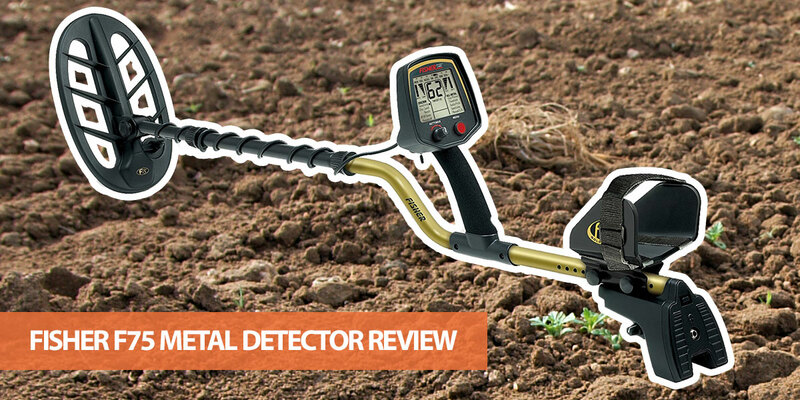 Fisher F75 Review - The #1 Mid-Range Metal Detector? Trying to decide whether to buy the Fisher F75? You’re in the right place! In this review, I analyze the F75’s features and performance, while comparing it to other detectors with a similar price. The Fisher F75 is one of the company’s most popular mid-range models. It’s an all-purpose detector that’s designed for coin, relic and jewelry hunting in a range of environments. Features of this detector include a rapid response time, manual and automatic ground balance, notch discrimination and digital shielding technology. It’s also designed to be lightweight and easy to use. How does the F75 compare to the Garrett AT Pro and other similar models though? And is it worth the money? Let’s find out in my Fisher F75 review. Note: This review is of the newest version of the F75 (at the time of writing). This version includes additional features, such as Digital Shielding Technology and new FeTone levels, along with better target separation. You can also view our list of the best Fisher detectors here. What is the F75 Special Edition? 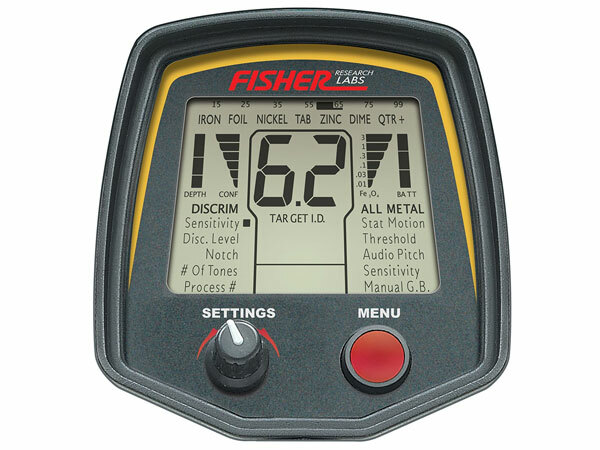 Fisher describes the F75 as the “lightest” detector with the “best ergonomics in the industry.” This isn’t true - there are lighter detectors on the market - but it’s certainly comfortable to hold and well-balanced. What makes this such a comfortable detector though? Aside from its balanced weight distribution, the detector has both armrest position and width settings. The grip is covered with foam for added comfort, while the controls are easy to use. None of these features are groundbreaking or even unique, but they add up to a detector that’s easy to swing for long periods. Putting the F75 together is also straightforward - even if you’ve never used a detector before. You don’t need any tools, so you can start searching almost as soon as you get it out of the box. Like most detectors in this price range, the F75 is powered by four AA batteries. You can expect a run-time of up to 40 hours, although this varies depending on your settings. As always, I recommend buying rechargeable batteries. The slightly reduced run-time from rechargeable cells is worth the long-term savings. A downside is that headphones are not included with the F75, unless you pay more for a package deal. There’s a standard ¼-inch jack though, so you can use almost all headphones with a stereo plug. The F75 is a 13kHz VLF detector. This is the same operating frequency as the F70, but higher than the F5’s 7.8kHz and F4’s 5.9khz. It’s lower than the Garrett AT Pro, however, which has a 15kHz frequency. A higher operating frequency provides better small object sensitivity at the expense of depth. At 13kHz, the F75 can detect targets a lower frequency detector may miss, without sacrificing too much depth. This makes it a great choice for relics, jewelry and coins. The F75 is not designed for gold prospecting though. It can pick up gold necklaces or jewelry, but the frequency is too low for small nuggets or flakes. Note: The F75 is a single frequency detector, but it comes with a frequency shifting function. This can reduce chatter due to electrical interference. Most detectors in the mid-range bracket include numerical target ID - and the F75 is no exception. The detector has a 0-99 scale based on the metal’s conductivity. As you gain experience with the detector, you’ll learn the ID ranges of common targets. This, combined with FeTone audio and discrimination settings, can help you make a more accurate guess about whether to dig or ignore. The F77 also includes a target confidence indicator with six segments. If the detector shows a full six rating, you can be fairly sure the target ID is accurate. Lower confidence ratings may indicate a junk target. Along with numerical ID, there are also target ID categories at the top of the display. These provide a quick estimate and are also used for notch discrimination (more on that in a moment). The Fisher F75 includes three search modes. This includes two all-metal modes, which is an advantage the Fisher has over the AT Pro (Garrett only included a ZERO mode with their popular detector). Motion All Metal - This is the most sensitivite mode and provides better depth than discrimination mode. The coil must be in motion to detect an object. Static All Metal - This mode is better suited for larger and deeper objects (such as objects larger than a coin and deeper than 12”). Unlike the other two modes, the coil doesn’t need to be moving to detect a target. Discrimination - Discrimination mode is used to pick out good targets from trash, such as nail, pull-tabs or foil. It’s a motion mode and isn’t as sensitive as all-metal, but is useful for rejecting trash. When using the all-metal modes, there are adjustable settings for sensitivity, audio pitch and ground balance. The motion mode also has a setting for signal strength threshold, which is not available when in static mode. When in discrimination mode, you can adjust sensitivity, notch, discrimination level, number of tones and process number. It’s worth noting that the manual ground balance setting can only be adjusted in all-metal mode, but the setting carries over if you switch to discrimination. The F75 provides plenty of control over which targets are rejected when in discrimination mode. The basic discrimination function provides a level from 0-65. Any target below the value selected will not be accepted. To eliminate iron, for example, a setting of 15 provides a balance between eliminating junk without removing valuable targets. A higher setting can reject zinc pennies or aluminum trash but may also lose jewelry or nickels. This is why Fisher has also included a notch discrimination function. Notch allows you to eliminate or include certain targets using a scale of categories at the top of the screen. You could, for example, remove the “TAB” and “FOIL” categories but keep the neighboring nickel and zinc categories. This wouldn’t be possible with a simple discrimination level. By combining notch with the discrimination function, the Fisher F75 lets you discriminate most objects you don’t want to dig. It’s not as easy to use as the more user-friendly Garrett AT Pro, but the result is the same. With both automatic and manual ground balance, the F75 can ignore most signals from ground minerals such as iron or dissolved salts. This makes it better suited to hot ground or tough conditions than models with pre-set ground balance. You’ll get less chatter and greater depth when the machine has been properly ground balanced. In most situations, the automatic ground balance function does an excellent job at calibrating to the current ground conditions. For saltwater or gold hunting, however, manual ground balance can be used - although it takes some practice to get right. Even so, it would be a stretch to say this is a beach detector or capable of the toughest ground conditions (such as when gold prospecting). It’s a highly sensitive machine, so the conductivity of wet saltwater sand is likely to cause a lot of chatter, although you may be able to dial it back to an acceptable level at the cost of depth. For most hunting locations it does a great job though - and the range of adjustment settings mean it’s capable of getting great depth without a lot of falsing. Tip: If you’re using the manual ground balance setting, wet salt typically has a ground mineralization of 0-10 on this device. Magnetite is usually in the 75-95 range. The standard package comes with an 11” elliptical DD search coil. This is waterproof, so can be used in shallow creeks or streams. While most people would prefer a concentric coil, the coil provided does a great job of separating targets and ignoring ground mineralization. In terms of performance, the search coil contributes to the F75’s outstanding depth. It also does a great job of pinpointing, so you can be fairly sure that the coin is below the center when the audio tone is at its loudest. Sensitivity - You can adjust the sensitivity of the detector depending on the current ground conditions. Higher sensitivities provide greater depth but are more prone to chatter from mineralization. Tones - There’s a menu setting for adjusting the number of tones. Options range from a single tone up to four tones depending on target conductivity. There’s also a “delta pitch” setting which varies depending on the target ID, which is useful for hunting relics or in areas with high trash concentration. Trigger Pinpointing Mode - The pinpointing mode helps get an accurate target location before you start digging. It doesn’t require motion. Mineralization Graph - A useful feature is the Fe3O4 graph. This shows the current mineralization factor of the soil. Digital Shielding Technology - This function can be used to suppress electromagnetic interference. It's useful near powerlines or other detectors. Weatherproof design - The Fisher F75 has a waterproof coil, but the control box is not submersible. Other Improvements - Fisher has continued to improve the F75. The latest version has a faster response time for better target separation, so it’s great for target-dense areas. It also comes with an adjustable audio pitch when in discrimination mode and three new FeTone levels (Off, Low, Medium or High). The F75 has a large digital screen with an easy-to-see numerical target ID. The important information is clear and not too small, so you won’t have trouble seeing it when in the field. Unlike Garrett detectors, which often include separate buttons for most settings, the F75 has a three-button design. The control panel has a settings knob for adjusting the current setting, while the menu button cycles through the various settings. It’s a simple system to use. The downside is that it’s slower to change settings than the Garrett AT Pro. It’s also not as intuitive - I think you’ll need to spend longer learning how to use the F75 than the AT Pro. In addition to the control panel, there’s also a trigger switch behind the screen. When pulled back, this causes all metal objects to be detected without motion to help you pinpoint the location of an object (assuming you’re not in static all metal mode already). When pushed forward, the automatic ground balancing is activated. I like how quick and easy this button is to use - especially for ground balancing. The screen also provides enough contrast to be easily viewable, although it doesn’t feel as sturdy as other models. A bonus is the screen backlight. This makes it easier to see your current settings in both low and bright light conditions. Most detectors in this price range don’t have this feature - including the Garrett AT Pro. The Fisher F75 has an MRSP of $1249.00. At this price, it’s an expensive machine and I would either recommend the cheaper Garrett AT Pro or more expensive XP DEUS. With that said, the F75 is often on sale for much less than the MRSP. If you can find it for a similar price as the AT Pro, the “best” choice is mainly a matter of preference as both are excellent machines. The F75 provides excellent performance when out in the field. It’s perfect for coin shooting, jewelry or relics and Fisher has included plenty of features for the price. One of the best things about the F75 is how good it is at discriminating unwanted targets. The combination of notch, discrimination, ID confidence and ground balancing give you plenty of control while reducing chatter from mineralization. You can also run surprisingly high sensitivities when in discriminate mode. The F75 provides excellent depth - especially when in all-metal mode. Fisher estimates it can detect US coins up to 15 inches in good conditions. While you’re unlikely to get that sort of depth in the field - I think 10” is a more realistic maximum depth for most coins - it shows how sensitive the machine is. If you want to hunt at a beach, the detector may be able to handle wet sand in lightly mineralized areas due to the ground balance function. It’s a sensitive machine, so you’ll need to dial back the sensitivity to avoid falsing, but it’s surprisingly effective in comparison to many VLF detectors in these conditions. Don’t bother trying it in surf though as it’s not capable of handling these conditions - not to mention the control box isn’t waterproof! Like the AT Pro, the detector is stable on most types of soil. It also has a rapid response time for great object separation - especially if there is a lot of iron trash around. Remember to keep your swing relaxed and wide though. The detector can provide a more accurate target ID with higher confidence rating when you’re using a proper swing. Note: Make sure you read the manual at least once before you head into the field. It provides some excellent information about how to get the most out of your detector. I also recommend watching tips and tricks on YouTube, as there are lots of settings that can improve your results - but only if you know how to use them. The Garrett AT Pro is probably the F75’s closest competitor in terms of performance and price. Both are excellent detectors, but there are a few differences that can help you choose. One of the biggest differences is that the Fisher F75 is not fully submersible like the AT Pro. If you want to hunt underwater - even in water that’s ankle high - then the AT Pro is the better option. I would argue that the AT Pro is easier to use. The control panel has buttons for each feature, so you can adjust settings without scrolling through all the menus. I’m also a big fan of the Pro’s iron audio and “Pro” modes. On the other hand, the F75 includes information that the AT Pro doesn’t, such as target ID confidence and the current ground mineralization. There’s no “best” option here, in my opinion, so choose the model that appeals to you the most. You can read my full review of the AT Pro here. The XP DEUS is more expensive than the F75’s MRSP - but considerably pricier than the Fisher’s reduced current price. Is it worth the extra money though? For serious detectorists, my top recommendation of any detector is the XP DEUS. It’s a brilliant machine with multi-frequency technology, rapid response and a fully wireless design. The DEUS can also handle almost any conditions, including wet sand and gold prospecting (with the GOLD FIELD mode). With that said, if you can’t afford the XP DEUS then the F75 is no slouch either - and for a much cheaper price. The F75 Special Edition is the same as the standard model in most respects. It comes with a boost mode for detecting larger objects that are further underground though, which can be useful in some situations. The Special Edition is also sold with an extra coil. The basic package doesn’t include any accessories. This means you’ll need to purchase headphones unless you’re happy using the built-in speaker (not recommended). There are many packages available that include extra coils, pinpointers, headphones, covers and pouches though, so make sure you check what you’re getting before you buy. 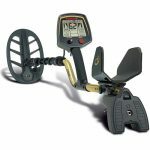 The Fisher F75 metal detector is a brilliant metal detector that provides great value for money. It’s perfect for relic, coin and jewelry hunting, while the ground balance feature means it’s even possible to use it on wet sand at beaches - albeit with reduced depth. It’s impressive how many features Fisher is packed into this machine. The combination of all-metal modes, ground balance, notch discrimination, mineralization readings, pinpointer and digital shielding technology provide complete control over the detector’s response. Fisher has also included armrest adjustment to make it comfortable to use. I have a few complaints though. While the LCD screen is clear and comes with a handy backlight, the single-knob operation isn’t as convenient as the Garrett AT Pro. It’s also not the lightest detector on the market. Despite these issues, I have no trouble recommending the F75. 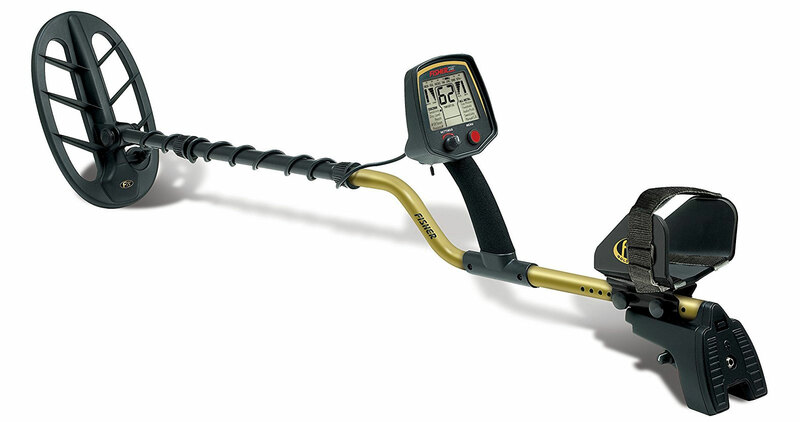 It’s an outstanding metal detector that provides great performance in a variety of conditions.